Midterm post-mortem: Was the election a repudiation of ed reform? Or just a sign that it’s going ‘under the radar’? An analysis he conducted this spring of gubernatorial primary candidates’ education platforms, in fact, showed most concentrated on a far more bipartisan issue: career and technical education. Few mentioned testing or accountability, and almost none did so positively. In fairness, education reform did have some wins in the midterms, like Jared Polis’s primary win for Colorado governor, when he fended off a union-backed candidate on his way to winning the general election Tuesday. What once was “one of the states that was really holding firm” to those initiatives, now “seems very likely it will not be in that camp in two years’ time,” Hess said. If voters care more about issues like health care, the economy and LGBTQ rights, “if you can bring together a platform that does all those things as a Democrat, and education isn’t the top issue, you may be able to go farther than you could have otherwise,” on education reforms, said Charles Barone, chief policy officer at Democrats for Education Reform. 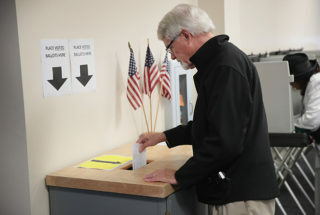 He pointed to candidates like Polis, or Sen. Chris Murphy of Connecticut who was easily reelected Tuesday after pushing hard to put accountability provisions in the Every Student Succeeds Act. “That means that education reform…issues are going to be problematic because they’re going to play to black and Latino voters, but they’re not going to play well to the suburban white voters,” she said.